Love songs, royal romances and passionate on-screen kisses, we’ve been the backdrop for them all. Take a look back with us at some of our most romantic highlights. Princes William and Harry regularly visit Coworth Park and our polo fields to compete in the annual Audi Polo Challenge. In May 2017, Prince Harry chose this event for his first public date with Meghan Markle, who cheered him on from the sidelines. We were also honoured when he, and many of his high-profile guests, chose to stay with us the night before his wedding at nearby Windsor Castle. 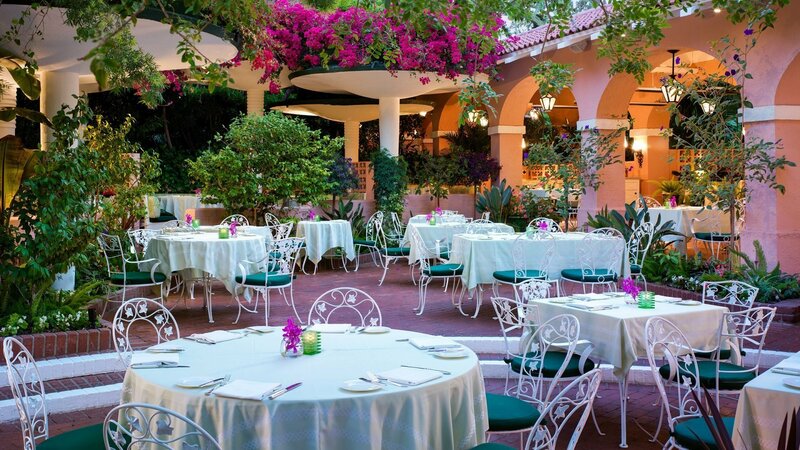 Widely regarded as one of the most romantic hotels in the world, Hotel Bel-Air has been the setting for many magical proposals, weddings and honeymoons. 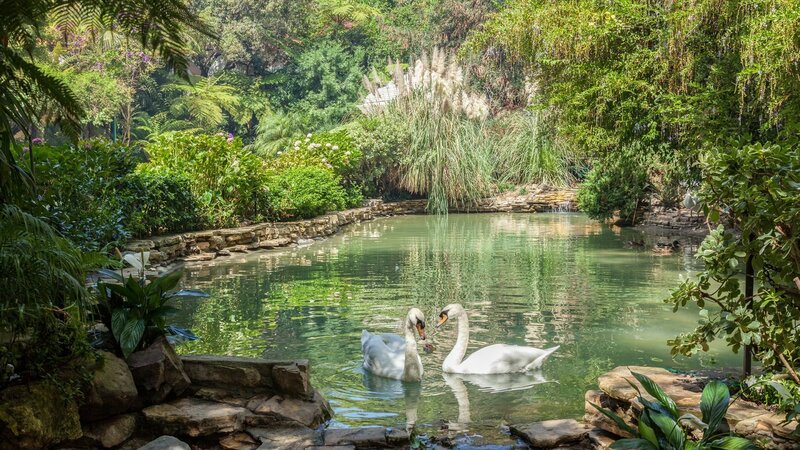 A relaxed stroll across our enchanting Swan Lake transports you to a true oasis, which seems a world away from the city’s bright lights. For the ultimate romantic moment, choose your favourite location amidst our wonderfully exotic gardens for a personalised gourmet picnic. Over the years many great love stories have been played out at The Dorchester, it’s also inspired several famous songs. ‘The Look of Love’ was written by Burt Bacharach at The Dorchester in 1967 and featured on the soundtrack for the spoof James Bond film Casino Royale. It was famously sung by Dusty Springfield and received a well-deserved Oscar nomination. Actress Marlene Dietrich and actor Jean Gabin regularly stayed together in one of our suites at Hôtel Plaza Athénée. When Marlene moved across the road from the hotel, Jean asked us to decorate their balcony with 100 red roses for Marlene to see from her apartment. This wonderfully romantic gesture inspired our tradition of adorning our façade with bright ‘Plaza’ red geraniums. Art has the power to take you to new places, offers fresh perspectives and sparks emotion. For this reason, right from the initial planning stages, it was decided that art would be at the very heart of the hotel. As part of this ethos, we invite you to explore both our permanent pieces and temporary exhibitions at your leisure. It’s exciting to think we may be showcasing the next Hockney or Hirst, but above all we show what we find interesting, and what we think you’ll fall for too. 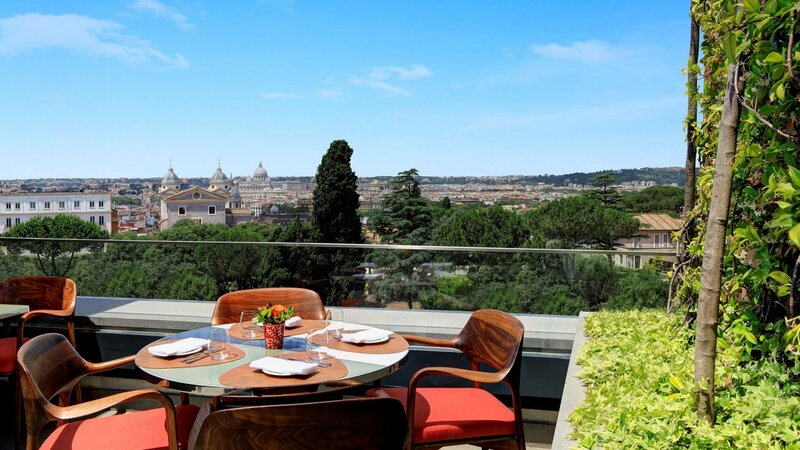 Italy’s famous film director Federico Fellini, best known for the 1961 romantic classic La Dolce Vita, had his own love affair with Hotel Eden in Rome. Fellini always chose the hotel’s rooftop restaurant as the setting for his press interviews, no doubt enchanted by the spectacular views. He treated us as his second home, and when he left his hat and signature red scarf hanging up we knew he was expecting guests. Pablo Picasso celebrated his wedding to Russian ballet dancer Olga Khokhlova at Le Meurice in 1918. As his muse, Olga inspired many of his most iconic artworks. Evoking the grandeur of Versailles, our opulent Salon Pompadour was the setting for their wedding breakfast. Rumour has it that a lively champagne cork at their reception caused the dent you can still see in our portrait of the Marquise de Pompadour, King Louis XV’s mistress, which hangs above the fireplace. 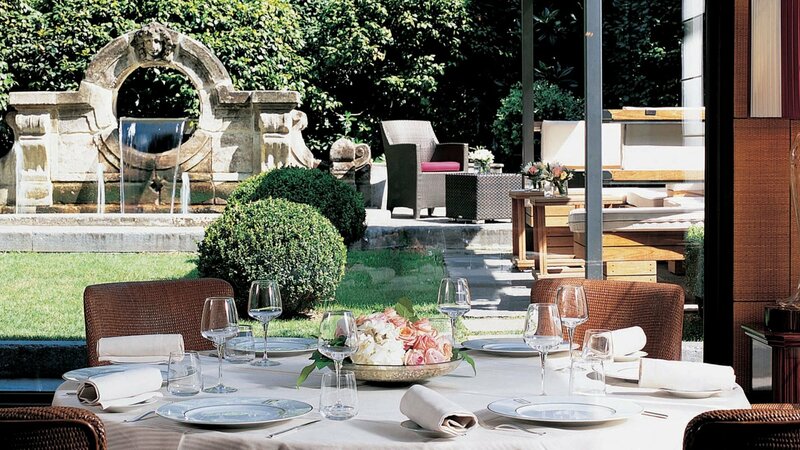 Italy is known for its great love of food and passion for opera, and Hotel Principe di Savoia in Milan is certainly no exception. Luciano Pavarotti regularly dined at our Acanto Restaurant and even wrote our chef a personal thank you note. He adored our pasta with zucchini, tomatoes and ricotta, which is still on the menu today and known as Penne alla Pavarotti. Fellow opera star Maria Callas also liked sharing recipes with our chefs and her favourite dish was our Penne alla Norma. The Beverly Hills Hotel has been popular with Hollywood stars for over 100 years and has starred in many major movies. One particularly memorable moment was captured on camera in our famous Polo Lounge, when leading actors Omar Sharif and Barbra Streisand shared an on-screen kiss in the 1975 romantic comedy film Funny Girl.